Livarot is one of the oldest cheeses from Normandy. It takes its name from the town of Livarot in the heart of the Pays d’Auge. 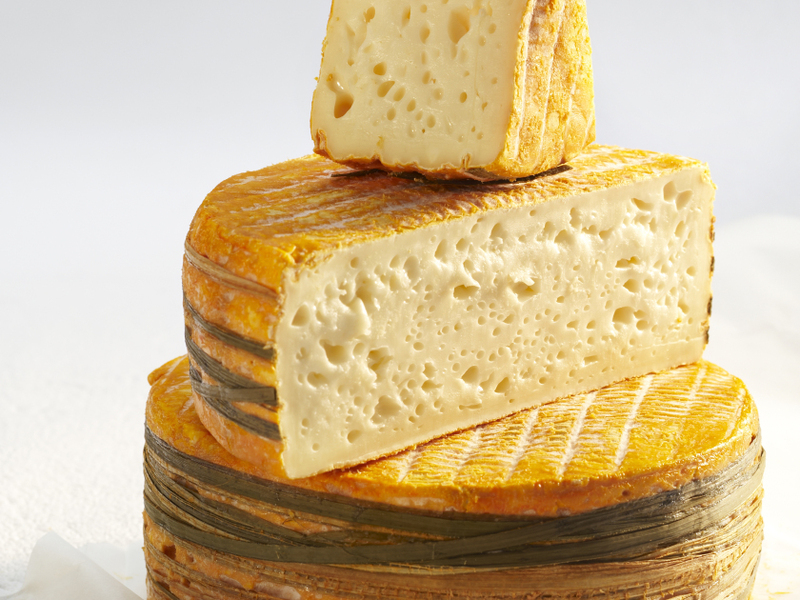 This is a soft-ripened, washed-rind cheese made with whole cow’s milk. It is nicknamed “le Colonel” because it is tied with a locally grown, natural reed fiber called a “laîche”. The fiber is wrapped around the cheese five times, much like the five stripes of the colonel rank. This was originally used to keep the cheese from collapsing during maturation. This cheese has enjoyed a registered designation of origin (AOC) since 1975 and was granted a protected designation of origin (AOP) in 1996. Grand Livarot, Livarot, 3/4 Livarot and Petit Livarot. A nice moist, sticky orange surface. 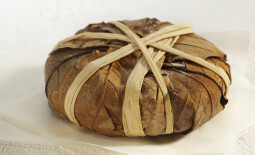 Natural brown fibers are wrapped around the cheese. The ivory-colored paste is smooth, shiny and homogenous. 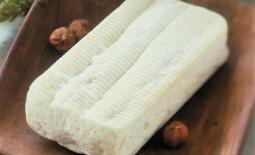 The rind of Livarot has a typical barnyard aroma, but the taste of its paste is relatively mild with warm milk flavors. The texture is soft and yielding and the rind is grainy. 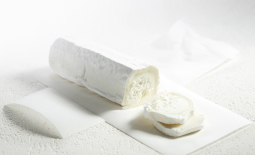 This is a cheese full of character with a taste that becomes strong with maturity.